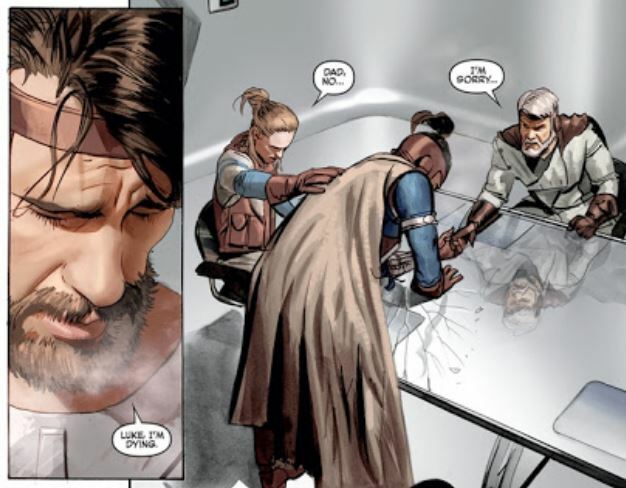 Best Comic Book Art – Mike Mayhew, Rain Beredo – The Star Wars. We still don’t know how an artist can create so much world building in a single year. And how do you re-imagine something as iconic as the original Star Wars design and give us something to rave about? 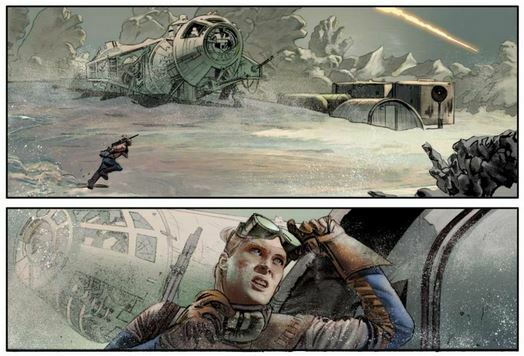 Mayhew’s pencils in the limited series The Star Wars are pretty much second to none (and Beredo’s color choice is superb as well) and we can’t wait to see how they wind up their adaptation of George Lucas’s original script for the beloved Star Wars universe. Breakout Comic Book Writer of the Year — Aaron Gillespie, Bionic Man. Gillespie quietly rebuilt the Bionic Man franchise this year as he took over the reboot of Steve Austin, The Six Million Dollar Man, launched by Kevin Smith and Phil Hester. In doing so he offered up an interesting update to the 1970s original borg hero, and brought along plenty of humor and retro fun. We think Gillespie is the writer to watch in the coming years. Breakout Artist of the Year – Greg Smallwood, Dream Thief. It blew us away that a new comic book artist could bring along so much original style in his first major published comic book series. Smallwood’s layouts on the Dark Horse Comics limited series Dream Thief and his cool and gritty anti-hero left us eagerly awaiting what he has up his sleeves next. 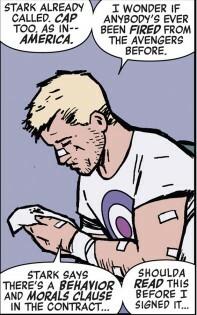 Best Single Comic Book Issue — Hawkeye, Issue #11, Marvel Comics. 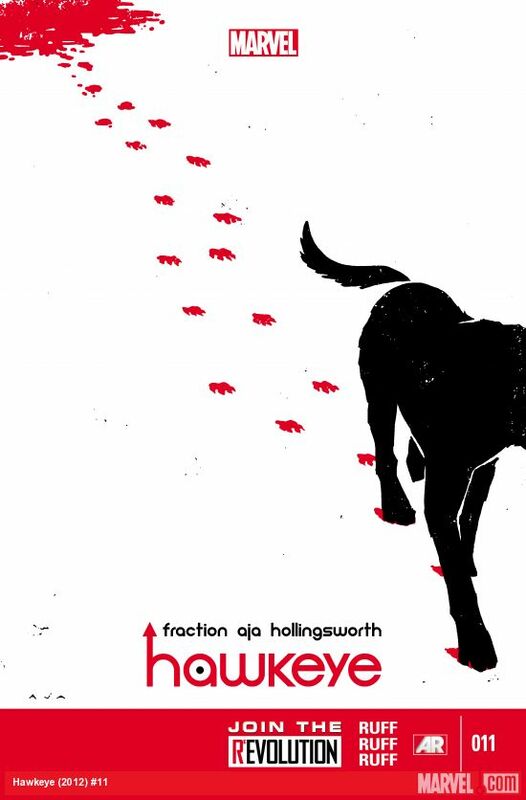 Although Afterlife with Archie, Issue #1 also blew us away with its creepy twist on the classic characters, the best single issue of any comic book series we reviewed was Hawkeye, Issue #11 written by Matt Fraction with art by David Aja. Check out our review here of this great issue told entirely from the perspective of Clint Barton’s sleuthing dog Lucky. Pure awesomeness. Best Comic Book Marketing Event — Lenticular Villain One-shot Month, DC Comics. We can’t get enough of all things retro and what is better than lenticular images? How about taking 52 monthly titles and devoting them to a litany of villainy and giving each a 3D lenticular cover? A genius of an idea, DC Comics’ villains vandalized the regular monthly series for one month this year and the result was loads of fun. And we can’t stop listening to the return of that high-pitched sound from our youths as those books scrape against each other. 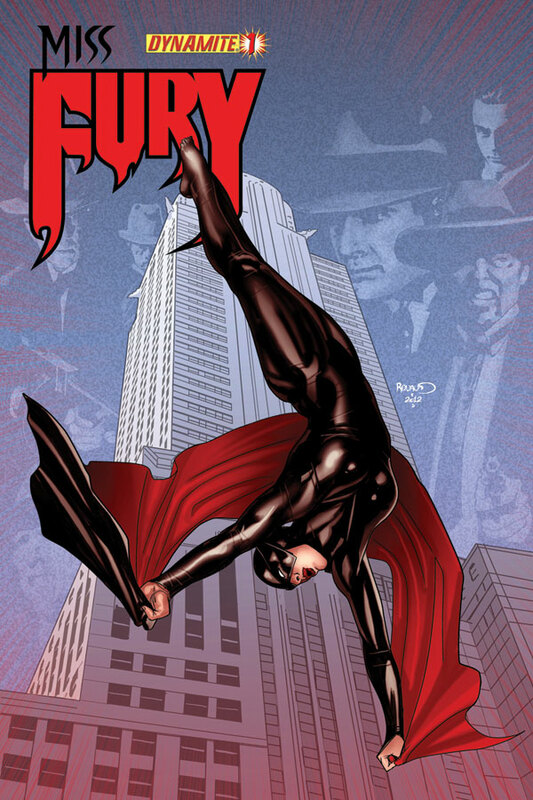 Best Comic Book Cover Artist — Alex Ross. Last year we were able to pull out the best covers for 2012. This year we found ourselves arguing over the best Alex Ross cover of the year. 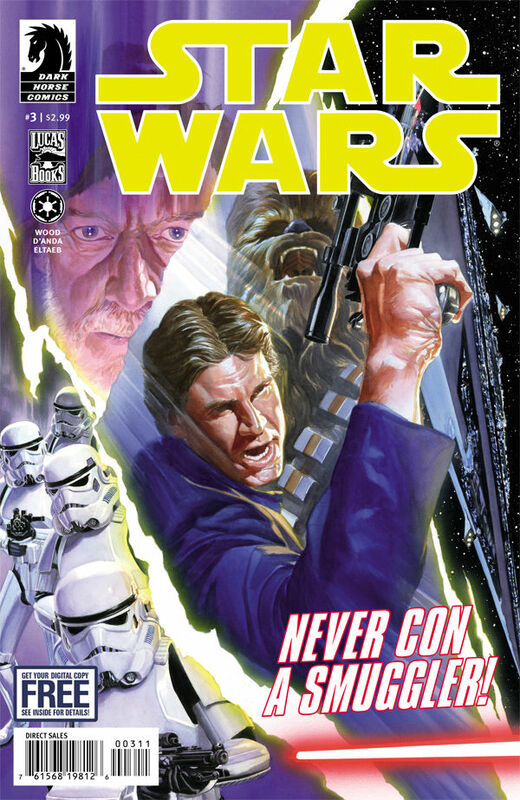 As just a sample, Ross created noteworthy cover art for Star Wars #1-4, Battlestar Galactica #1-3, Grimm #1, Dream Thief #1, Miss Fury #1, Django Unchained #6, Fantastic Four #1, Masks #1-8, The Owl #3, The Shadow #4 and 13, The Shadow: Year One #1-6, and Flash Gordon: Zeitgeist #10. Plus Astro City, Doc Savage, Pacific Rim, Peter Cannon, and Lords of Mars covers! The man must never sleep! He produced so much, each of which could be a year’s best, that we’ll have to run down his best of 2013 on a later day. 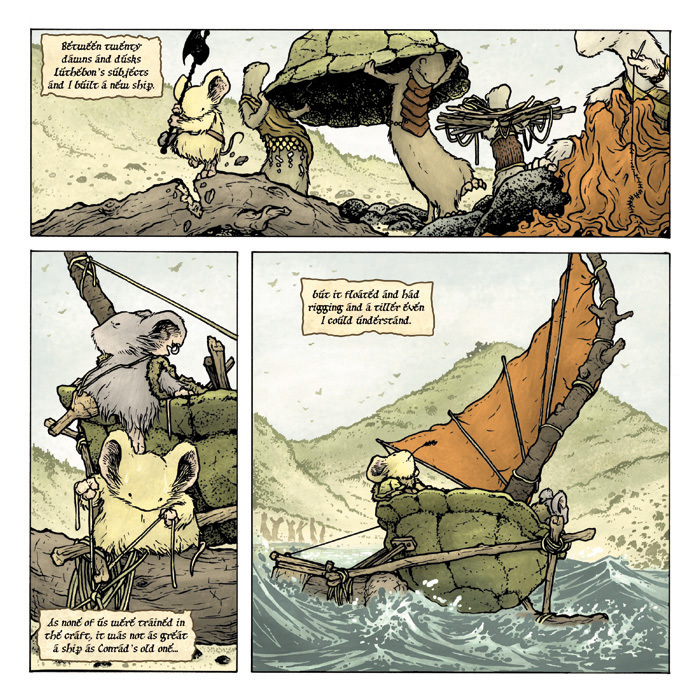 Best Comics Collected Edition: Mouse Guard: The Black Axe, Archaia. Putting aside Archaia’s unique book format for the world of Mouse Guard, David Petersen’s unique one-two-punch of storytelling and artistry in his world of mighty mice continues to entertain readers with the gripping and personal trials of these heroes on their latest epic quest. Petersen may have offered up his best work yet this year in Mouse Guard: The Black Axe, a harrowing and bittersweet account of the last of a breed. 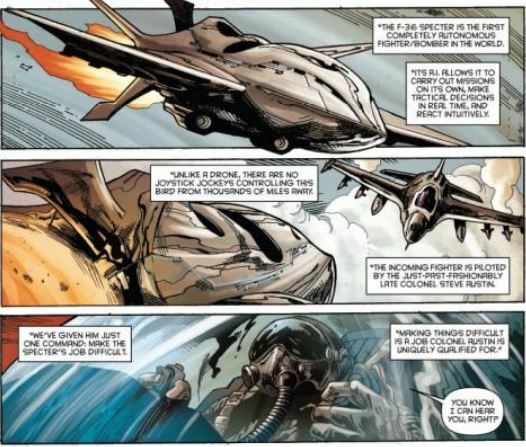 Best Use of Comic Book Medium — Liberator, Black Mask Studios. Matt Miner’s Liberator mini-series took a hard-nosed look at animal rights this year through its vigilante heroes, expanding the knowledge of readers lucky enough to get their hands on the series. Best Comeback – Mike Grell, Howard Chaykin. It’s not like these guys really went anywhere but we just wanted to say how fun it is after all these years to walk into a comic book shop and to be able to buy new books drawn by Grell and Chaykin. 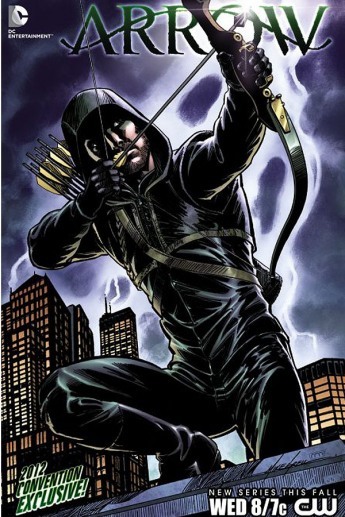 With Grell on the Arrow series and Chaykin with projects like Satellite Sam, fans of classic styles can get their fix and new readers can get introduced to work from the old pros. Best Non-Fiction Genre Work — The Hobbit Chronicles, Weta Workshop. Reviewed here at borg.com earlier this year here, The Hobbit: An Unexpected Journey, Chronicles: Art and Design provides an unprecedented look at last year’s The Hobbit: An Unexpected Journey, through lavish photos of art design, sets, costumes, and props, by the folks at Weta. With coffee table books released and re-released in 2013 including Star Wars Frames, Firefly: A Celebration, Princess Bride: A Celebration, and Bazooka Joe, it was a great year for books about movies, TV, and other genre properties. Best Reviewed Book – Johnny Alucard, Kim Newman. 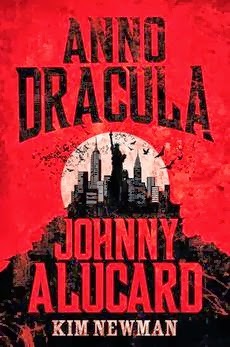 Although Stephen King’s new book Joyland was also a great read, Kim Newman’s new Anno Dracula series novel Johnny Alucard, in his parallel universe of vampires living amongst us, was deep in world building and complex relationships with fictional and non-fictional characters throughout, as Newman’s anti-hero Johnny rises to power. Best Retro Reviewed Book — Nothing Lasts Forever, Roderick Thorp. Just like we enjoyed Martin Caidin’s original novel Cyborg that inspired The Six Million Dollar Man TV series, Thorp’s original work, Nothing Lasts Forever, which was turned into the movie Die Hard, was a great window the hard-working cop who saves the day. Fans of the Die Hard series left wanting after the new movie this year need only check out this book for some great fun. Best Auction and Catalog of the Year — The Lord of the Rings Trilogy Auction, Julien’s. This December the first and maybe last auction of screen-used props and costumes from a private collection hit the auction block. The Trilogy/Middle Earth catalog itself was a feast for the eyes of fantasy fans–a sourcebook in its own right for close-up photos of these rare pieces. The auction results included the sale of one of Gimli’s axes for $180,000. 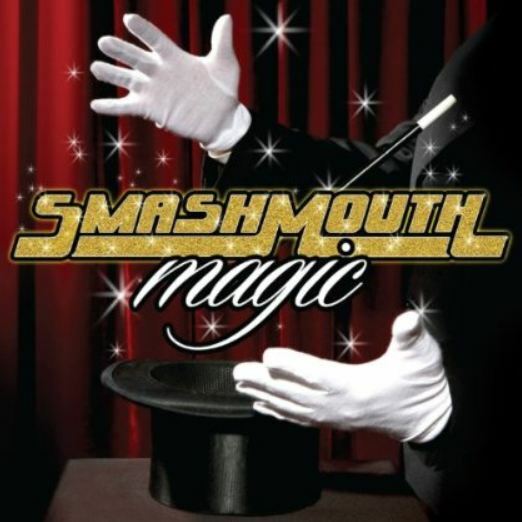 Best Album — Smash Mouth, Magic. Plenty of good music hit the airways this year, including Daft Punk’s Random Access Memories, the Skyfall soundtrack, and the extended Night Visions album from Imagine Dragons. But our favorite was the long-awaited release of the next Smash Mouth album, Magic. Including remixes of several of the songs, it added another great party album to the band’s catalog of great tunes. Check out our review here. Best Song/Best Video — Space Oddity, Cmdr. 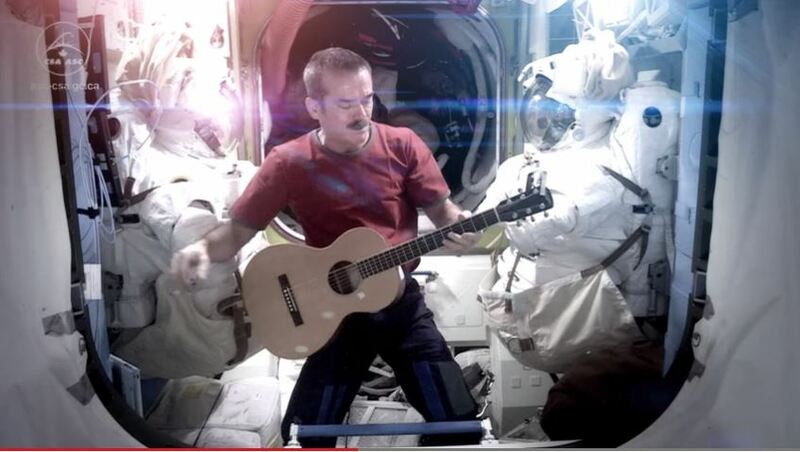 Chris Hadfield. Sure, there were great songs on the airwaves this year, including Adele’s Skyfall, and Daft Punk’s Get Lucky, but was anything cooler than astronaut Chris Hadfield recording and filming his own cover of David Bowie’s Space Oddity in outer space? We don’t think so. Twenty million viewers on YouTube would agree. Best New Tech — 3D Printing. It was the year everything could get printed, from human organs to bones to edible pizzas. It’s the next big thing. 3D printing took off and tricorders are on their way in 2014. The future is now. Best Toy Line — Honey Trap Army, Gentle Giant. At several hundred dollars per figure, these toys were not for everyone, but if they’d only produce a mass market version we think everyone would get a set. A direct-to-toy series that was not based on any existing property, the sculpts for Gentle Giant’s incredible femme fatale fighting team, the Honey Trap Army, were simply beautiful. Check them out here to see what we mean. Best Action Figure — 12-inch Retro Rocket Firing Boba Fett. Gentle Giant’s line of 12-inch action figures based on the Kenner line of 3.75 inch figures from the 1970s and 1980s was nothing short of brilliant. 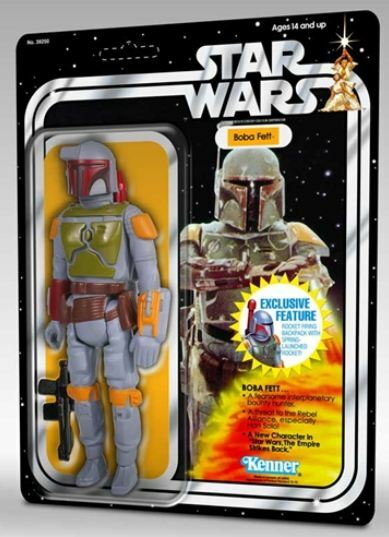 No toy series was more nostalgic to fans who grew up with the original trilogy, so when they issued a rocket-firing Boba Fett based on the unreleased prototypes, the result was toy gold. Check it out here. So that’s our list. Don’t forget to check out the first part of our Best of the Best list for 2013 here.